Prior to commencing the Executive MBA Americas program, Richard was the Manager for Continuous Improvement Programs for the GE Calgary Substation Automation site. While in the program, he received two promotions. Upon completion of the program, Richard was again promoted to Business Integration Leader for the GE Digital Energy business and relocated to the corporate headquarters. He subsequently moved to Canadian Natural Resources Limited. "The Executive MBA Americas program enabled me to develop a broad understanding of the multiple facets of business globalization and to acquire the ability to develop strategies to successfully approach the differences between countries and markets. The caliber, experience and diversity of the program participants were key factors that made this program effective." "I knew that I wanted an MBA from a school that would expand my network beyond my local market and provide a world-class education that would be recognized across Canada and the US. But, being the mother of a 4 year old daughter meant that I could not leave Vancouver. The Executive MBA Americas program gave me tools that went beyond my area of expertise." When John entered the program, he was Specialty Projects Manager for a mid-sized construction company, where he managed a small group targeting the alternative energy market. During the program, the Global Business Project proved to be a turning point for John. He and his team provided consulting services to a leading aviation equipment supplier, providing John with the inspiration, experience and network to make a career change into the aerospace industry with Bombardier. "The program’s Global Business Project played a big role in my transition to the aerospace industry. While providing management consulting services to a major aviation equipment supplier, I was able to lead a team to South America to conduct interviews with potential suppliers. I was able to expand my network and gain the experience necessary to make the career change." When he began the program, Eric was Vice President of Federal Government Affairs for Windstream, a Fortune 500 telecommunications company. A few weeks before graduation, he was promoted to Senior Vice President of Government Affairs, responsible for managing Windstream’s regulatory and legislative strategies and initiatives at both the federal and state levels. At that time, he also became a member of Windstream’s senior leadership team. "During my application process, I visited a class in Washington, DC, where I live. I was amazed by the way the program leveraged technology to bring an interactive, energetic, and real-time classroom experience to multiple locations at once. As you would expect from schools of the caliber of Cornell and Smith, the faculty included many leading scholars and excellent, teachers." When Sukhi enrolled in the Executive MBA Americas program, he was Director Finance and Corporate Controller at QLT, a biotechnology company dedicated to the development and commercialization of innovative ocular products. Since completing the program, he was promoted to Senior Director Finance and then, Chief Financial Officer. Sukhi recently joined ProNAi Therapeutics as Chief Financial Officer. "After completing the program, I feel confident in my ability to handle any challenge. As I’ve taken on increased responsibility, I often find myself reflecting on my learning experience and applying the principles and knowledge I absorbed during the program. The global recognition of both schools really enhances one’s personal brand and the program provides an extensive network with global reach." When she entered the program, Dina was a systems engineer at Cisco Systems, Inc. During the program, she joined Deloitte as Senior Manager, Enterprise Risk Services. This opportunity came through a classmate in Washington DC, who also works at Deloitte. She is now a Partner at Deloitte. "I started the program with a 6-month old daughter at home, and the support I received from the program administration, professors and my teammates was tremendous and really made it possible for me to be successful. My ability to transition to my new position was a direct result of the knowledge, skills and amazing networking opportunities this program provides." Amit was working for GE in the Treasury Group when he began the Executive MBA Americas program. Six months into the program, he was promoted to Treasurer for GE Canada. Upon completion of the program, he joined George Weston Limited as their Vice President, Treasurer. "The team-based approach used in the program provides a phenomenal experience. I loved the progression throughout the program that initially focused on teamwork, fundamentals in various disciplines and then application in a global setting. The team-based Global Business Project and the Global Economy and Global Strategy courses were absolute highlights for me." When Evan entered the Executive MBA Americas program in July 2008, he was starting a new position as Worldwide Head of Marketing for Gibson Guitar Corp. Upon completion of the program, he decided to return to his original career path of music publishing, as Executive Vice President Creative, for Universal Music Publishing, with a fresh outlook. He has subsequently been promoted to President, North America Universal Music Publishing. "One of the most unique and valuable dynamics of the program is having your own city’s boardroom team communicating and learning with various other city boardroom teams across North America. The diversification of each city, and their cultures, made for a truly unique MBA learning experience. The program has made a lifetime of difference in how I will deal with business going forward." When Daniela entered the Executive MBA Americas program, she was Assistant Vice President at Citi Private Bank Latin America, located in New York City. After completing the program, she was promoted to Vice President. "In the financial services industry, especially in New York City, an MBA is a must in order to remain competitive. As a mother of two young children, the Executive MBA Americas program was a perfect fit for my busy life. The team-based approach was key to the learning experience and the Team Coaching was essential to the success of our team. The Global Business Project which took our team to Italy, Spain and Portugal, was truly a highlight." At the time Jonathan joined the Executive MBA Americas program, he had just moved to Canada from his native Caracas, Venezuela. Soon after the start the program, he began working with Sears Canada. While in the program, he became the procurement lead for all of Sears' marketing activities. After completing his MBA, he was promoted to Divisional Vice President of Strategic Initiatives, Indirect Procurement and Sustainability, overseeing hundreds of millions in spend and playing a significant role in the company's transformation. He recently joined Indigo as Vice President, Profit Improvement and Strategic Sourcing. "The program provides two great credentials but, even more importantly, it gave me the ability to think strategically and to understand, weigh-in and make decisions as a manager. To this day, I frequently go back to my notes whenever I need some perspective. " When Gaurang enrolled in the program, he was a vice president on the trading desk of RBC’s Global Equity Linked Products department based in Toronto. During the early part of the program, he was offered the opportunity to transition into a sales role in the same department at RBC. Gaurang is now with EY (Ernst & Young). "I can’t say enough about how much I have grown as a result of the Executive MBA Americas program. On a business level, the program has figuratively brought me up to 30,000 feet where I’m now better able to see linkages in a way that drives better decision-making. On a personal level, I’ve benefited immensely, as so many of the concepts that we were exposed to can have relevance in our non-work lives." 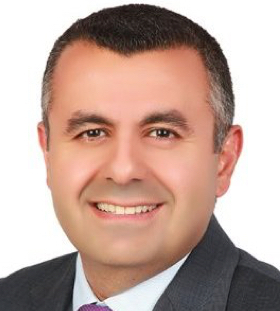 When Harout entered the program, he was Associate Sales Director at Novatis Oncology Canada. Just after graduation, he moved from Montreal to New Jersey as Global Brand Director, Novartis Oncology. This was followed by a number of international roles within Novatis, including stints in Denmark and Dubai. He recently left Novartis to join Ipsen Biopharm in his current role. "The EMBA Americas program has been instrumental in my career growth. It not only improved my business acumen, it also helped me develop my leadership skills, and significantly expanded my network. It literally opened a new world of possibilities, and gave me the confidence to take on global roles which was something I hadn't really thought was possible. This program was absolutely one of the best investments I have ever made." When he entered the Executive MBA Americas program, Jeff was an entrepreneur thinking about re-entering the corporate world. During the program, he became interested in investment banking and strategy consulting. After completing the program, he accepted a position with the Corporate Strategy Group at BMO. "Based on the strength of the program, I had the opportunity to compete for employment at top U.S. investment banks, and tier-1 strategy consulting firms. Ultimately, I was able to fulfill both of my interests by joining the Office of Strategic Management at BMO. The Executive MBA Americas program provided the knowledge and opportunity to tie together previous experience in industry with a desire to change my career path." As Vice President Equity Derivatives Sales at JP Morgan, Kevin entered the Executive MBA Americas program looking to broaden and diversify his network and gain the knowledge and skills that would enable him to take on more senior roles. Since graduating in 2010, he has experienced two moves of increasing seniority within the organization. He is currently Executive Director. When Justin entered the program, he was Creative Director at Much, the Bell Media specialty channel. He has received several promotions since completing the program. He is now Vice President, Pay and OTT Services. "I would sum up the experience as two great schools and two MBA degrees that you really earn. The program gave me the confidence, knowledge and skills to take on large challenges. The team-based approach was a huge benefit and the initial team coaching we received was incredibly helpful in getting us started on the right foot." When Dino enrolled in the program, he was Vice President, Financial Services Sector for IBM Canada. During the program, he was promoted to Vice President, Financial Services Sector for the Americas. He was then promoted again to Managing Director, Financial Services Sector, and recently to President and General Manager for IBM Canada. "The Executive MBA Americas Program exceeded my expectations and significantly impacted my career by providing the business foundation I needed to operate at a global level. As a result of the program, I was able to deliver greater value to our customers and consistent growth in our business." When he started the program, Vedat was Plant Manager at Lafarge's Richmond, BC Cement Plant. Upon completing the program he took on a larger role as General Manager of Aggregate Operations in the Greater Calgary Area. "When I started the program, I saw manufacturing as the key challenge, but I came to understand that to be successful your approach has to be holistic and every aspect of the business is equally important. Having completed the program, I feel more self-confident to deal with complex business situations and I have clarity about how to make tough and ethical decisions." When Milan entered the program, he was Director of Systems Engineering for a Canadian cable company. Shortly after graduating, Milan accepted the position of Director of Infrastructure and Operations within the Information Systems department of Teranet Inc., a provider of one of the world’s most sophisticated Electronic Land Registry Systems. "Every aspect of the program was well designed and I benefited greatly. I received a very solid academic grounding in management theory and all of the key functional disciplines. The curriculum broadened my thinking and I now have a stronger understanding of business operations, how to make better strategic and investment decisions, and how to align IT and business strategy. As well, I have become a more effective leader and a better decision-maker."